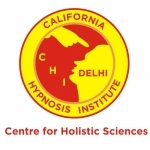 Courses Offered – CHI-DELHI…Be a part of QUANTUM CHANGE !! Certification Courses for Trainer’s Training for each level also available. CHI-DELHI is an affiliate of CHI-USA. All Hypnotherapy courses certifications are from CHI-USA, Theta Healing courses certifications are from THInK® USA and Access course certifications are from Access Consciousness®,USA.